In 2006 Bulić published the novel A Journey into the Heart of the Croatian Dream (Putovanje u srce hrvatskog sna) which won the Jutarnji list Prize for the best book of fiction. A Journey to the Heart of the Croatian Dream, a collection of stories that can be read as a serial novel, is actually a coming of age novel which follows his early years in war and post-war Croatia. This is a journey from “the shovel to the Internet” that could easily be read as the “journey” of the society as a whole. Vlado Bulić was born in 1979 in Split, where he finished his elementary school and high school education. After he graduated from high school, Bulić enrolled in the School of Electrical Engineering and Computing in Zagreb which he dropped out of during his sophomore year, instead enrolling in the School of Philosophy at the University of Zagreb. He is studying Croatian Language and Literature and Information Science. During his freshman year at the new university, he got more involved with his literary work. 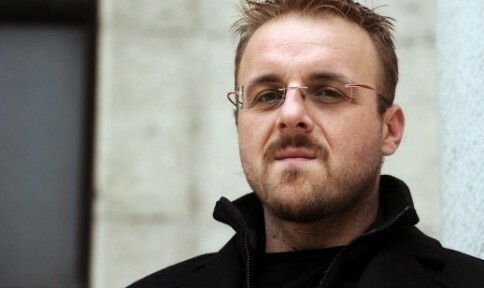 In 2003, his manuscript won the first book contest organized by Studentski centar (Student Center) in Zagreb. Thus, Bulić published his debut book of poetry entitled 100 komada (100 Pieces) which received an enthusiastic welcome from both critics and audience. Several poems from this collection were included in the Anthology of New Croatian Poetry (Matica Hrvatska Sisak, 2004, ed. Miloš Đurđević) and 100 pieces represented Croatia at the UNESCO competition Mostovi Struge. In 2006, Bulić published the novel Putovanje u srce hrvatskog sna (A Journey into the Heart of the Croatian Dream, AGM, 2006). In the same year, his collection of blog-columns Pušiona (Blowhole, AGM, 2006) appeared under his nom-de-plume, Denis Lalić. Until 2006, Denis Lalić (Vlado Bulić’s blog nickname) was a columnist at the web portal Index.hr and the author of Blowhole, which was voted the best blog-column on the Croatian web. Meanwhile, Denis Lalić’s name appeared on many websites and in print media so Lalić, although a fictional character, also figures as a “real person”. With the publication of the selection of the best of Blowhole, Denis Lalić became an author. A Journey to the Heart of the Croatian Dream, a collection of stories that can be read as an serial novel, is actually Denis Lalić’s coming of age story which follows his early years in wartime and post-war Croatia. This is a journey from “the shovel to the Internet” that could easily be read as the “journey” of the society as a whole. The novel A Journey into the Heart of the Croatian Dream won the Jutarnji list Prize for the best book of fiction in Croatia in 2006. Denis Lalić thus becomes a character from a novel, an author of a collection of columns, and a “media person” and this fact if not eradicates, at least expands the boundaries between literary and media fiction.